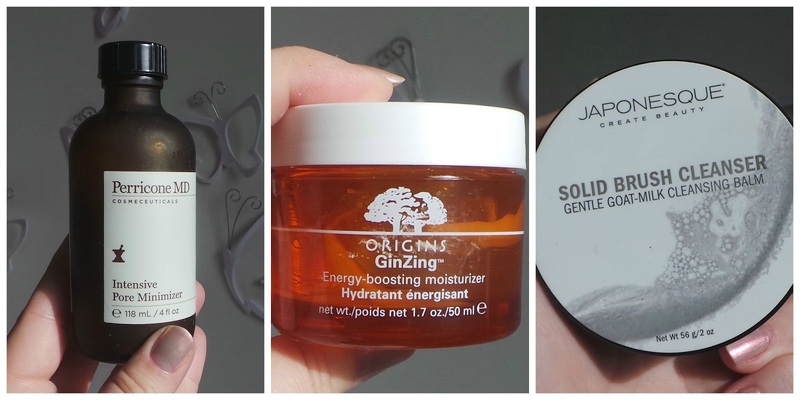 Due to travelling I didn't do an empties post at the end of June so here is an epic two month empties post with tons of skincare worth talking about! Love this mild exfoliating toner from Clinique. Caroline Hirons spoke about it and I purchased it because it contains salicylic acid-great for hormonal skin like mine. I have already repurchased and I spoke about this in depth here in my Hormonal Acne post. It's very gentle so if you're new to exfoliating toners this is a great place to start. It won't break the bank either. Personally I do not use micellair water for cleaning my face unless I am a) on a flight b) very very very tired or c) very very drunk! 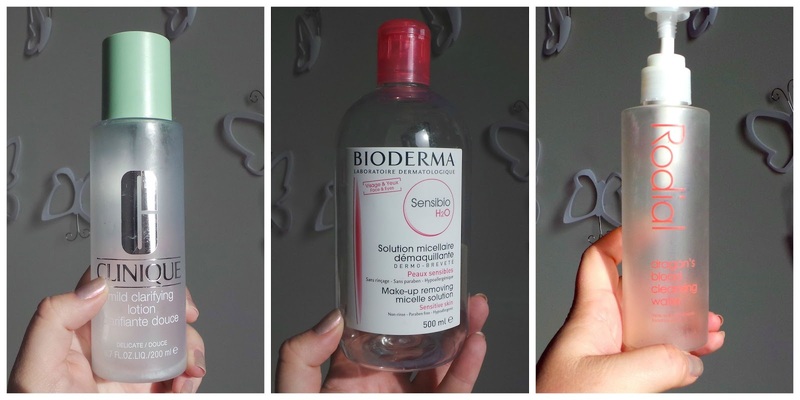 I use it only for removing eye make up and I really like Bioderma to do this. It's really effective at removing even stubborn mascara and is a permenant fixture in my bathroom. When I have used this to remove make up I find it very drying but it doesn't irritate my eyes at all. But not for face. No way José. My micellair water of choice for when I am travelling (and I mean for removing make up on long haul flights) is the Rodial Dragons Blood Cleansing Water-I use it to remove my make up as soon as I get onto the flight. I feel like this one is really gentle but effective. It doesn't dry my skin or cause it to break out. 'Dragons Blood' is the red sap from the Croton Lechleri tree and is used for medicinal and healing purposes. It is ideal for sensitive or stressed skin to plump out fine lines and protect from dryness. No dragons are hurt in the making of the cleansing water. One negative-it has terrible packaging and leaks everywhere. I have to decant mine into travel bottles. This is the second bottle I have had that leaks which is frustrating as this is quite an expensive product. I've talked about this several times on my blog-read my full thoughts here about this wonderstuff. 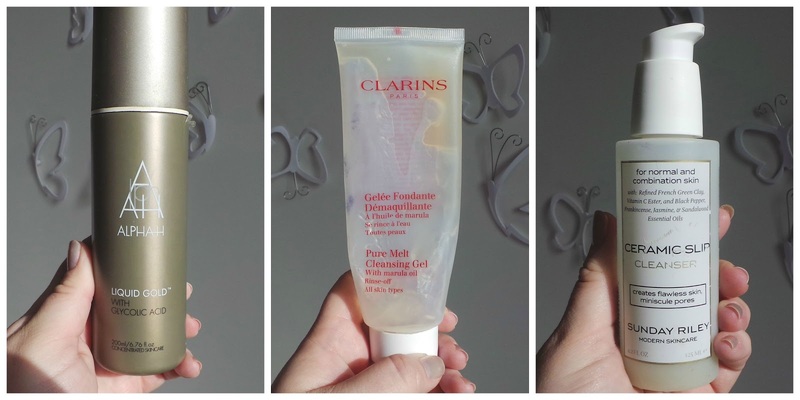 My third tube of this slightly addictive, apricot scented, effective cleanser. Great for removing make up, you massage the non sticky gel into dry skin where it turns into an oil on contact. I then emulsify it with water and finally remove any excess with a wet flannel. It feels like a really luxurious treat at the end of the day and feels lighter on the skin than the cleansing balms I have been using over the past year. I always travel with one of these as I know it doesn't make my skin break out. My second bottle of this cult cleanser but I wasn't as blown away the second time as I was the first time when I used it. Read my initial thoughts here. If my skin breaks out I turn to salicylic based products to aid and repair, and to stop further breakouts. I felt like a teenager buying this but it really helped my skin and this is my third tube. Read more thoughts here. Thank you to Antonia from Mac and Cheese for recommending this to me! 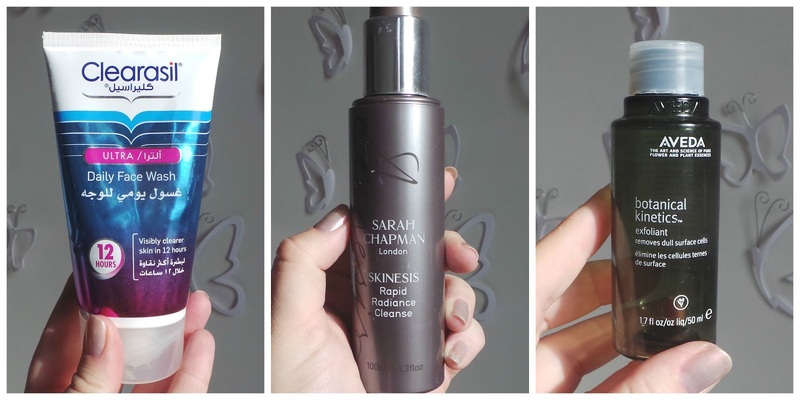 I reviewed this clay based cleanser from Sarah Chapman in full here and already have a back up stashed away. I don't normally include samples in my empties but I was blown away by this exfoliating toner by Aveda. It feels much stronger than the Clinique version and I don't use it every day but if my skin is starting to break out, I sweep this over my skin after my evening double cleanse and my skin definitely looks clearer the next day. I want a full size! This is another exfoliating toner and it is very gentle on the skin and leaves skin clear and calm. I really like it but it is ridiculously expensive for 118ml at £50. The results aren't that good for that price. This water based moisturiser is perfect for hormonal skin and I have just picked up a replacement. It's the perfect light, cooling, hydrating pot of goodness that doesn't clog pores and is great for hot and humid environments. I really liked this goats milk solid cleanser for cleaning brushes-especially foundation brushes. I wrote about it further here but it is quite expensive for what it is. I still use Johnsons Baby Shampoo the most! Both of these products were in my recent The Undecideds and I still haven't changed my mine on them. Both mediocre at best. A great cream blush from Shu Uemura-easy to blend, long lasting and the cutest packaging ever! One of those every day staples I rely on but never really talk about! 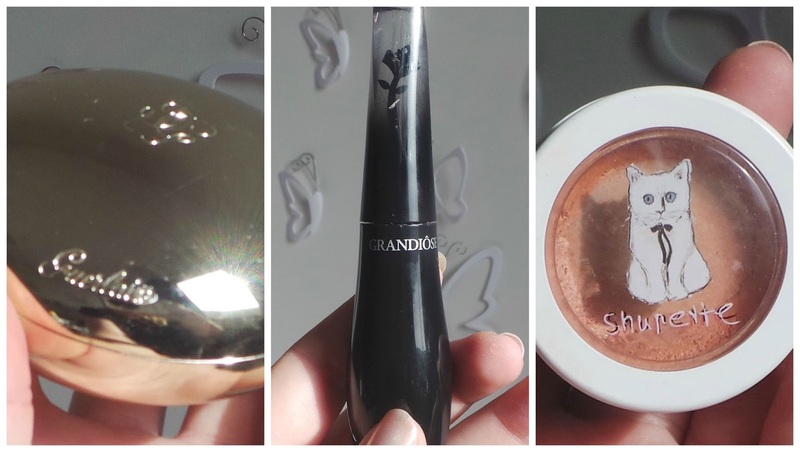 I love the Anastasia clear brow gel-it keeps brows in place, doesn't go hard or crusty and lasts a very long time. 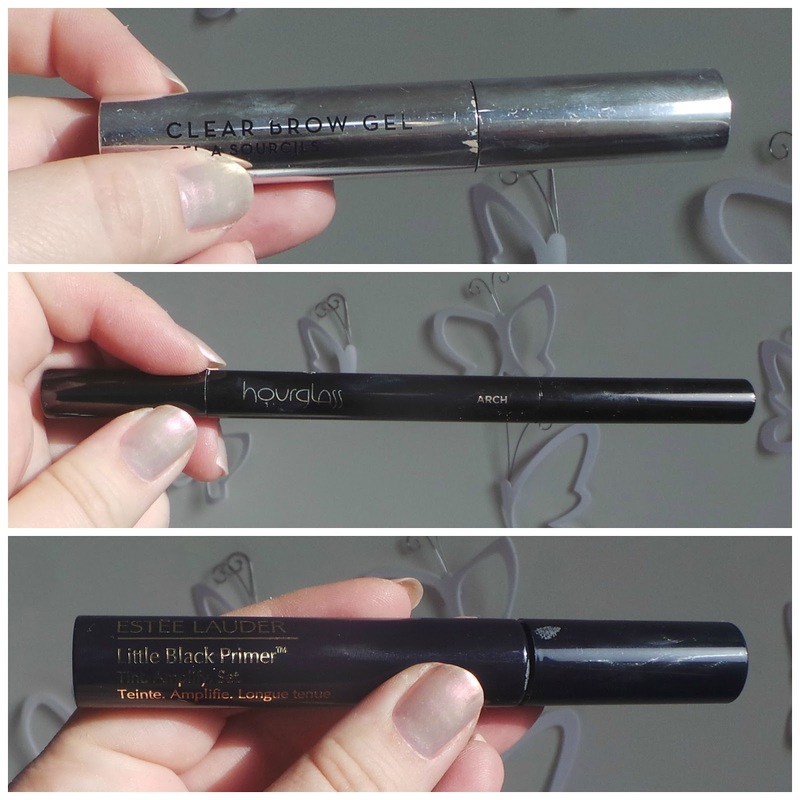 This hard brow pencil from Hourglass lasts forever and is great if you have fairly decent brows that just need a little grooming. It has an angled, retractable nib that makes shaping brows easy and its dry but almost waxy in texture. Definitely an extra step but I really loved this new lash primer from Estee Lauder. I wrote a glowing post on it here. Unnecessary yet totally necessary yes? That was a long one! Have you tried any of these products?